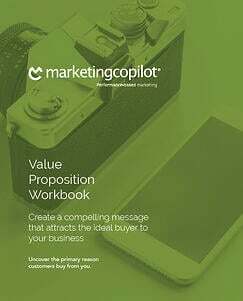 Create a compelling value proposition for your business. Your value proposition is the first step in developing your content marketing strategy. You may call it differentiation or a competitive advantage. It’s not a tagline, mission statement or articulation of what you do. Your business’ compelling value proposition is a precise articulation of why someone should buy from you. The challenge in developing a compelling value proposition for your business is that value is discovered not determined. It grows out of the needs of your customers and the value they derive from your product or service. Differentiate your offer from the competition. Determine where you excel from the competition or alternatives. Explain why you are the best choice for your best customer.